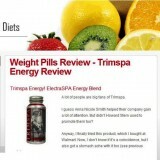 The good: TrimSpa’s formula includes ingredients that have been proven to cause weight loss. The bad: Many side effects are associated with TrimSpa which could be problematic if you wanted to integrate this into your daily life. The bottom line: If you try this product, it should not be because you believe there is scientific evidence behind the claims it makes. 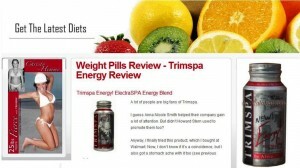 There are few pills within the online diet pill community that are as interesting to discuss and analyze as TrimSpa. When it comes right down to it, TrimSpa has some things about it that are very good and some things about it that would make a person sit up and question before moving forward at all. For this reason, TrimSpa has come into question on many different diet pill review websites, directly conflicting with many of the testimonials they have of people that have taken the pill and felt the good effects. Ultimately, the decision is up to you as to whether you would like to pursue this pill and the important information you absolutely need to know is below. Like with most other diet pills, TrimSpa pills come in a standard bottle that needs to have its seal broken in order for you to use it. The overall price of one bottle is $19.95. You are required to take 4 pills a day in order to see the effects according to their website, so when you do the math you will find that a 90 pill bottle will satisfy you for 22.5 days, allowing you to spend approximately $0.89 per day if you’d like to go on this regiment. Aside from the mildly perplexing fact that they do not include enough pills for that 23rd day in the pill (or alternatively take two pills away and sell each bottle as an 88-pill, 22-day solution), TrimSpa is still one of the most cost effective diet pill solutions available on the internet. There are many things to love about TrimSpa, not the least of which is the fact that the pill formula includes a number of different ingredients that have been proven to affect weight loss in a positive way. These include green tea, glucomannan, guarana and L-tyrosine. None of the actual amounts of the ingredients included are given by TrimSpa to the customer before they make the purchase and this therefore makes it impossible to figure out from a purely scientific standpoint whether this is a proven formula or just something you have to take on faith. Additionally, there are many side effects associated with TrimSpa that could be problematic if you wanted to integrate this into your daily life. Things as simple as jitters and dizziness can be side effects, but so can more serious things like insomnia, mood swings and depression. Just because you can afford TrimSpa in a financial sense does not mean that you can potentially afford some of the side effects that the pills come with. The green tea ingredient in TrimSpa, while certainly an ingredient that can promote effective weight loss, is also an ingredient that contains caffeine. Some people might not like this, so it is important to understand that each of the four tablets that you take each day contains some amount of caffeine. If you don’t mind caffeine, then this obviously is not a problem. While part of the TrimSpa formula might certainly help you lose weight, it is also important to realize that making a scientific conclusion based on a lack of evidence is impossible to do. If you try this product, it should not be because you believe there is scientific evidence behind the claims it makes. I lost 50lbs in 1.5 mths last year taking trimspa 4x a day- I had to stop because it was messing with my moods WAY too much but it does work…. I might try it again for a short time this year who knows…. I went from 190 to 135 using trimspa. I lost 55 pounds!!!. I stopped using it and have kept the weight of for 2 years and going.